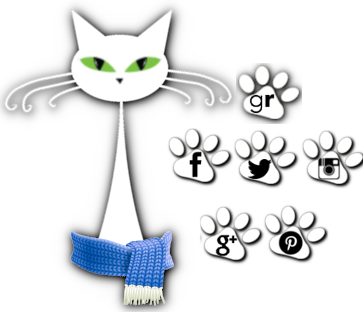 herding cats & burning soup: Follow Friday- thanks! Aren't they great Amie? Thanks for dropping over! Maybe one day I'll get up the nerve to shoot her a note :) Thanks for coming by Abria! Great answer and even if it hadn't been I would still follow you because your blog name cracks me up! Thanks Catie. Glad ya got a laugh out of it :) Happy Friday! Laughing is great to do when reading a book - especially if you are around others... It keeps people guessing! Hope the kitty is better! Here is my answer! Stop by when you have a chance! Thanks Kate. It definitely is a great thing. I've gotten some funny looks more than once when I've been reading in public. Always a hoot. Hopping through. What books does Shelly Laurenston write? What a cool tribute to her. Thanks Alison :) Shelly writes 3 different series. The Pride, Magnus Pack and Dragon Kin (written as GA Aiken). Shifters of all kinds in the first two. Lions, bear, wolves, wild dogs. Then Dragons only with the Aiken books. All of them are fantastic! Great answer... though I haven't heard of Shelley Laurenston. Now I'll e on the lookout for her books! I'm a new follower. Feel free to check out my blog and follow too! Ah, she's great but her series are definitely adult. They're hysterical though and nicely written. Can't say I've ever heard of the author, but I can definitely appreciate the sentiment - I always fall back on Terry Pratchett when I need a good literary laugh. Love when an author can make me laugh! It's such a great gift. Authors that help you personally are always awesome! New follower! I have never read anything by this author but will keep the name in mind in the future. Thank you for sharing.